“Service include all economic activities whose out put is not a physical product or construction, is generally consumed at the time it is produced, and provides added value in forms that are essentially intangible concerns of its first purchaser”. As the requirements of this course we need to prepare a report based on some practical cases where we must relate the concepts we have learned through out the course contents and the lectures delivered by the course instructor. Through the completion of the report we will learn how to design the service, how to promote it, how the find out the gaps, how to price etc. to complete the report we were delivered a real life case on new technology used in the hospital. We have to apply the tool of service marketing for analyzing the contents. To learn the practical use of service marketing. Finding out the reasonable and probable places where gaps can lie. Building the marketing strategies for the company removing all the gaps in designing the service. How a good quality service can be designed and delivered. Redesigning the service and segment the target market as different market demands different attributes of services. Recommendation from our point of view on the basis of our concept gathered from the whole course through out the semester. In the next few page an over view of the case is given for ease understanding of the contents of the report. The brief summary of the case is based on case # 7 from the text named “Service marketing”, integrating customer focus across the firm, 2nd edition by Zeithaml and Bitner. In this case we have a leading company named “Quality Care” alone with some of its competitors “health Care” completing each other with good and innovative ideas to provide medical services to the customers. Both of the companies here are competitor for each other and in this case we will concentrate on the Quality care one. Both the companies are a type of medical center that provide good health services to the general people. Health care, the biggest competitor, has already begun using a computerized reception system in 14 of its 22 facilities. When their members come in the door, they go right to a computer and slide their identification card through. Then the computer leads them through a set of questions about their current medical condition, the reason for the visit, and so on. The computer pulls the members record and sent the customer to the appropriate staff parson for consultaltancy. Health care will have all its facilities up and running by the new system by June. There are also another competitor named Medi centers, is planning is planning to install the similar system by January 1997. The main idea of the competitor is to have new and improved quality care reception area. No more crowded waiting room. Some patients talking with the nurses, others are checking in, paying bills, and even having their blood pressure measured. With this system the competitor are taking a giant step forward in the quality of the service.the staff will be able to devote more energy to make sure that each patient receives prompt, unhurried, personal attention. Promoting this new service to the customer, the CIO of the Quality Care wants to know about the installation of the system, how the Quality Care handle the transition, how the service quality will be measured, the required investment and about computer consultation and lastly the trouble shooting process. Quality Care has about 3000 employees and 20,000 members. So they are concerning about the procedural changes inside the organization. Quality Care got concerned on cutting their administrative staffs as the automation of the new system get on work. Before stating anything, the investment for the system itself is stuck on a large amount. It would run the company more that $350,000 including development, installation, training, consulting and so forth. The executives of the company are not sure that if this system worth. But the good new is that the retention of customer for the Quality Care seems good. And the customers are satisfied with the service. On a scale of one to five, about 85% of the customers come back for the second or third time. The perception of the executives led to the importance of the system. This is to me mentioned that the employees of the Quality care liked the new system. But what about the customers? A recent survey shows that the customers thought the system would give them time for the human touch. There was a strong argument on the satisfaction of the customers to the quality of the service. It is very obvious that usage of technology is always a handy step for any organization as far as productivity or efficiency is concerned. However, there are some organizations that use or should use technology to provide service to their customers but not in every aspects of their service. In the given case it has been observed that an argument was take place between several management employees of a reputed HMO named Quality Care. The issue was very simple that is Quality Care should use technology in this case programmed computer in receiving initial information of its patients. The basic idea says that in reception desk a programmed computer will be available and when patient will arrive they will be prompted with some questions about his or her current physical condition. In this process no human intervention will be found except the responses of the patients. This computerized reception system might sound effective and time saving but it will also create problem for the patients. Because there are chances that patients might not understand the process of responding as per computer’s query. So, it is easily understood that the computerized reception system will work as a complex tool of getting started with a health care service as far as patients are concerned. For patients the degrees of complexity of using computerized reception system will be very high. In a very sophisticated service like medical service less usage of machine will give more and more satisfaction to the customers in this case the patients. As in the first it was mentioned that computerized reception system is a complex one. So, to cope with that customers must be trained up well enough. This is also a problem for any HMO, so as for Quality Care. Because, first of all this training up customers will cost it a lot. Also a nonstop training program has to be there to guide all customers. However, training up customers for using computer programmed reception system in a service industry like health care is not feasible. Because, in HMO’s people come to get relief from disorders not to get into something which will actually overstress their actual problem. In this case it is found if Quality Care wants to setup this computerized reception system, the total system basket initially will cost them around 0.35 million dollar, which is actually a huge investment. So, for a company like Quality Care, which actually has a moderate profit of 8.1 million dollar per year, this will be a huge cost and also post purchase costs are heavy too like maintenance, troubleshooting etc. This actually depicts that installation of this system will give Quality Care an additional permanent expense. As a result another problem may be arise that price increase of service. As long as expense increases price of service will also increase to make balance between earning and cost. It is inevitably true that human are individual of each other, so do their problems. A rigid set of questions can never ever be able to collect required information from people. In health care sector solving problems or collecting information about patients is not at all a wise idea. Because patient will fail to give the appropriate information and a rigid or fixed set of questions will never be able to show the actual situation of the patient. Usually computerized questions are common and frequently asked. So, reliability on that information will be challenging. The case title itself talks about the problem that the customers do not expect the quality improvement (introduction of computerized reception system). In HMO sector the total target market for each and every health care service providers are those who need the service. This includes all aged people from children to elderly people. Children and young people might feel introduction of computerized reception interesting but elderly people will definitely like the system because elderly people always love to have a human attention. So, customer preference about the system will vary from person to person. This is also a limitation of using computerized reception system in a health care organization. Introduction of computerized reception system in Quality Care will definitely increase its turnover rate. Because, after the system is introduced there will be zero need of having any human receptionist. So, chance of forced unemployment will increase drastically. Self-unemployment might also occur because of motivational problem. Employees will feel unsecured as far as their job is concerned due to unexpected automation. Although it is observed that, employee of Quality Care is going to like the system but it will lead to an unemployment situation. Training the patient consultants is also a burden for Quality Care. Because another training program means another way of incurring cost. Usually this training is intensive training and duration is long. So, this training program will not only increase expenditure of Quality care but also reduce productivity of the organization for a while. As it was mentioned earlier that the computerized reception system is far more complicated for the patients, patients may start switching health care service provider, because, patients will find using the system inconvenient. Also the reputation of Quality Care decrease. In a service like health care, which is by definition personal service will face a dramatic dissatisfaction of clients, because, in this field of service clients always want or expect human contact rather a machine contact. The vice-president of marketing department of Quality Care, Ginger Rooney, also said that. She quoted, “Health care is a personal field, one on one attention is what makes a satisfied customer. The just didn’t like the idea of a computer, at least for this part of their interaction with the HMO.” So, it is clear that in the field of HMO clients prefer man then machine. Quality Care is always aware about its customer satisfaction. Its CEO is always concerned about the feedback or advice given by the clients. A continuous customer satisfaction survey program is there in Quality Care. Its recent survey showed that customer will be dissatisfied if they have to interact with a machine. In other words customers are not satisfied with the idea of introducing computerized reception system in HMO. So, this is a problem for Quality Care, because this is creating a conflict between their desired decision and their clients’ expectation. External influence is also a major concern for Quality Care management. Quality Care’s CIO, Pet Penstone mentioned, “Not to mention the we’ll have to install a system like this at some point anyway, as soon as the government or the insurance companies decide that it’s the way to go. Once a method is standardized. We don’t want to be playing catch-up.” So, Quality Care’s CIO’s this statement clearly depicts that government and insurance companies are becoming a growing concern for them as far as the issue is concerned. Although it is inevitably true that computerized reception system will change the total style of service but the impact of this on HMO sector is collateral. People will come to health care anyway if they need health care. So, customers’ usage of health care will barely depend on automation. This has became a problem of the top management of Quality Care, because, although the impact is collateral this (the system) is going to cost them a huge amount of money. Introduction of computerized reception system does not assure the quality of the health care service. So, quality has also become a concern of the executives. This is also a problem because nobody knows whether the system will increase the service quality or not. That is why CEO of Quality Care concerned that whether this investment will be worth it. Maslow’s Hierarchy of need simply says that peoples need change as their standard of living changes. In this hierarchy we have five types of need and they are listed below sequentially and also represented in a figure. The given case talked about a health care organization that provides health care services to its clients. According to Maslow’s need theory health care comes under physiological need. Because health care is one of the primary needs that people want to fulfill. So, in this case we have observed Quality Care, a health care service provider, provides quality services to its customers and subsequently working hard to develop their quality of service. Because Peoples are always very much cautious about health care and they expect the maximum possible quality service from the health care service provider. In this case we have seen that Quality Care is a third positioned HMO in that region and capable of providing adequate service to fulfill customers need. In services marketing gap model is widely used to identify the distance between the expected services quality and the actual services quality. There are some other sub section added in the gap model. Gap model is given below. In this given case we have observed that yet Quality Care, the concerned HMO, fulfilled customer expectation and that is why its customer retention is almost 100%. So, existence of gap 1 was minimal. However, the automation that is computerized reception system will increase gap 1 for sure. On the other hand while looking for gap 2 we have found that yet gap 2 is minimal but automation will increase the gap 2, because, it is said in the case that customer did not took automation as a benchmark for quality check, rather they feel good with human touch. 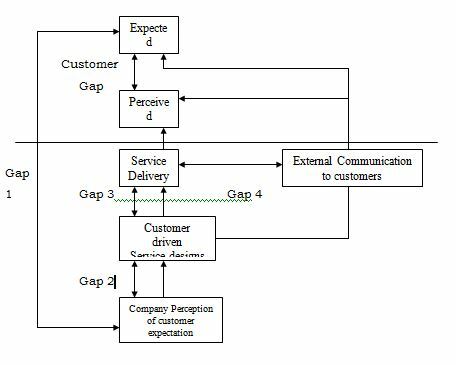 Like gap 1 and 2 here also yet there is a minimal gap in gap 3 that is customer driven service design and standards and service delivery. Quality Care successfully attained its customer’s standards. However, if new technology is introduced then it will increase the gap. Service delivery is as per external communication to customers. The CEO of Quality Care himself looks after the attainment of the made promises. Customer gap is also very nominal in this case. Because, customers of Quality Care are receiving health care services as per their expectation. However, problem is inevitable unless Quality Care fails to tackle the automation problem properly. There are three important elements present in the concept of zone of tolerance. This concept is highly rich as far as its implications are concerned. The three elements of this concept are 1) expected service; 2) zone of tolerance; and 3) adequate service. The following figure shows the concept more simply. In the given case we have observed an HMO named Quality Care providing health care service to its clients. Health care is a highly sophisticated area for each and every person. So, that is why people are very much cautious about the services that they are receiving from HMOs. As far as health care is very important for all and it’s a matter of life, so, zone of tolerance is very low, which actually means that expected service must match the experienced service or adequate service. For that reason, in the case we have seen that CEO of Quality Care is highly concerned about his customers and their satisfaction. Here customer expectation was adequately met by quality care. Customer perception depends on many factors. Perception is the experience that a customer has about a particular product or services. Service is perceived based on customer’s satisfaction about the service. Now, satisfaction is also influenced by many factors like situational factors, personal factors, price, service quality, and product quality. The following figure shows the process of perception of a customer about a service. In the context of the given case, a clear picture of customers’ perception about Quality Care is reflected. It was found that all the elements of service quality were present in the characteristics of Quality Care. That is why customer satisfaction was very high. However, the concerned issue gave a challenge to the executive body of quality care that they have to retain their positive image toward their customers even if they have to introduce computerized reception system. Marketing research is a very important and effective way to find out the needs, wants, demands of the desired customer. There are many ways of accomplishing marketing research. However, the questionnaire survey method is the most popular method and mostly used one. In the context of the case, we have observed extensive use of survey or more specifically questionnaire survey. The CEO of Quality Care operated survey on a continuous basis. For that reason many success came to Quality Care. According to their survey result Quality Care provided newsletters to pregnant members and also arranged free access and prompt service to them, which actually increased Quality Care’s popularity dramatically. Although Quality Care was not the market leader but a true leader, the CEO, Allan Moulter, supervised them. There are two very important end of service delivery, one is customer and another is provider’s employee. Both of them are very important to the success of an organization. In the context of the case we also observed a successful service delivery process. Employees of Quality Care were highly qualified and motivated. The main inspiration came from the CEO, Allan, who is actually worked as leader rather working as a head. Allan was very much concern to ensure his employees happiness with their situation. This step lead Quality Care to make an excellent service delivery to its customers. Customers of Quality Care were highly satisfied with the delivered service. They have participated or performed their job very seriously. Health care is a sector from where to get best output both customer and employee have to participate. 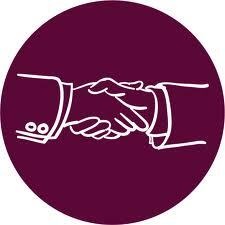 In services marketing or marketing communication is the key word. Without communication it is not at all possible to provide any kind of service. So, proper information flow is must to see success in service business. The following figure shows the communication along with services marketing triangles. The above figure actually shows the importance of communication in services marketing. In the case, communication was excellent. Interactive marketing was off course everywhere in the case. Health care is a kind of a service, which can not given or taken through any channel. So, interactive marketing was extensively found. In this case direct marketing and public relation was used extensively by the Quality Care people. A very good example of internal marketing we have observed in the case. The CEO was found giving information and taking feedback and also taking information and giving feedback to his employees, which is actually very important behind the success of any service company. In this case we have also seen that CEO was arguing with his employees about a controversial issue. So, a good structured communication flow was found in the case. The following figure shows how services marketing communication of Quality Care is integrated. After analyzing the case it easily found that some of the employees are in favor of installing computerized reception system. Despite that disagreement there were no problem observed. All problems were found surrounding that automation issue. However, machine reception is not preferred by Quality Care but they have to adopt the change due to may be far or near future advantages. There are some alternative given below to adopt the change perfectly. As far as customers of Quality Care do not want computerized reception system and at the same time Quality Care has to adopt the change for future sake, so, the organization should have both facilities available. This will allow customers to take both machine and human reception as per their desire. This will also give enough time to the customers to make themselves familiarize with the computerized reception system. All conflict will be resolved. Here Quality Care can start informing its customers that after six or twelve month the computerized reception system is going to be introduced. Due to that it can arrange an extensive training session for the customers. So, during that time span customers will make them used to with the demo system and eventually they will start using the automated system. 1) Service Marketing, Zeithaml & Bitner, 2nd ed. Tata McGraw-Hill reprint 2000. 2) “The quality improvement customers didn’t want” by Dawn Lacobucci, January 1996.